On the morning of Saturday, June 10, 1922 Ellsworth left his wife and two sons to procure supplies from the mainland village. Nellie’s interactions with the children were normal and she seemed to be in good spirits, waving to him as he rowed away. When Ellsworth returned at around 4:00 p.m. he found Robert sitting on a kitchen table, pale and in physical agony. Beside him sat Nellie with her head resting on her arms, unresponsive to physical and verbal attempts to rouse her. He realized that she was dead by the heaviness of her arm instinctively rushed upstairs, where he found Russell’s body on a bed under the light. Too late to save the baby and his wife, Ellsworth loaded Robert into his dory and rowed towards land for help. Robert survived the ordeal and was able to provide some of the details about that dreadful afternoon. Nellie then ate some of the “candy” (which was actually bichloride of mercury) and carried Russell upstairs. Robert reported that shortly thereafter his mother returned alone and fell asleep where Ellsworth found her. 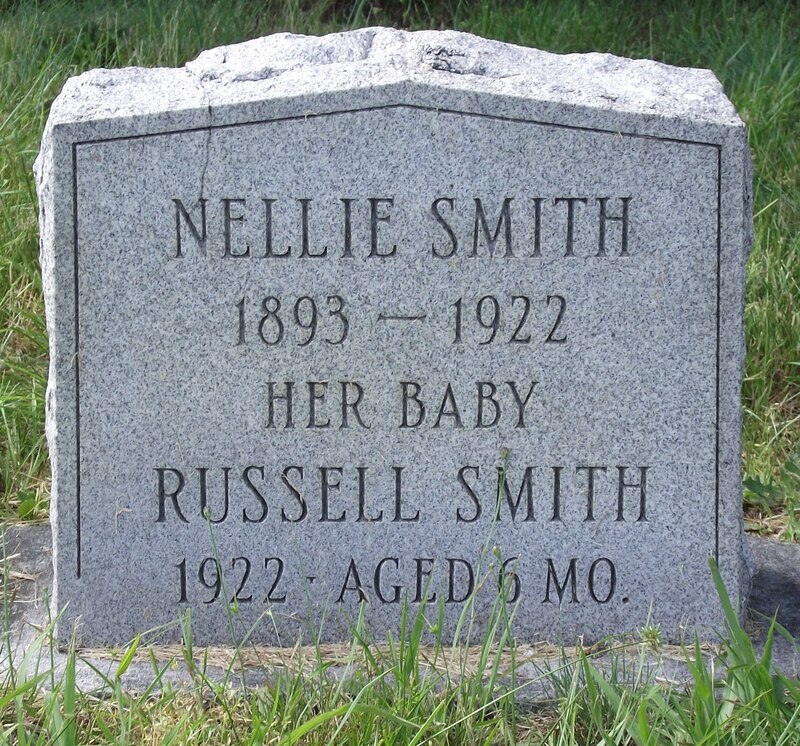 Nellie and Russell share a headstone in Brayton Cemetery in Warwick, Rhode Island.